The things we need to thank our mums for on Mother's Day. "Seven things I need to thank my mum for this Mother's Day." Every Mother’s Day I find myself in the same struggle. How can I possibly find a gift that is big enough to say thank you for ALL of the things my mum has done for me (and put up with)? From my secret belly button piercing adventures to my hair dye dramas, you’ve had a lot to deal with from your not-always-angelic daughter. So, this year I’ve decided to tell my mum all of the things I need to say thank you for. 1. Thank you for keeping me alive. Valentina with her mum and two sisters. Image: supplied. 2. Thank you for not killing me when I chopped my fringe off. It might have been a long time ago, 23 years in fact, but I don&apos;t think you&apos;ll be forgetting the time I chopped my fringe off right from the root with plastic scissors a few days before I was supposed to be a flower girl. What can I say, I was up for a change and my timing was impeccable. While you were furious, you gritted your teeth and marched me straight to Price Attack to get it fixed. Come wedding day, the guests were none the wiser thanks to you. "Come wedding day, the guests were none the wiser thanks to you." Image: supplied. 3. Thank you for letting me get away with things Dad didn&apos;t.
4. Thank you for saving me when I turned my hair purple. Oh that was fun. I can say that now. It wasn&apos;t then, at the time I bawled my eyes out after I thought it was a good idea to go over my light brown hair with a chestnut packet dye and somehow turned my hair purple. This was our notable second trip back to Price Attack when you marched me right over to a shop assistant who helped you find the exact colour to fix it. You helped me apply the dye and returned it to non-clown status, you were a magician, in that sense. We found out later that Price Attack has salon stylists that do that for you, too, if it ever happened again (a relief for Mum!). It was like this. Only worse... Image: 20th Century Fox. 5. Thank you for ALWAYS ironing at the last minute. You&apos;d tell me to lay my clothes out the night before and I&apos;d never listen. You&apos;d warn me that you would, under no circumstances, do any last minute ironing. Yet when I&apos;d yell out a great big "MUMMMMMMMMM" down the hallway, I&apos;d walk into the kitchen to see an open ironing board. You know me too well, Mum. All of that last-minute ironing doesn&apos;t go unappreciated. Image: iStock. 6. Thank you for never blowing my cover. Remember that time my sisters took me to get my belly button pierced without you knowing? I&apos;m sure you do. Having eldest sister take me to the shop while middle sister pretended to be you on the phone. While I&apos;m sure you wanted to rip that ring right out of my navel, you still didn&apos;t tell Dad. I was 15. That was hilarious wasn&apos;t it? No? Okay I&apos;ll stop. 7. Thank you for being my mum. I&apos;m so grateful and thankful that I am able to call myself your daughter. I can only hope one day that I&apos;ll be lucky enough to have my own children and I&apos;ll try every single day to be exactly like you. If I can even be half of you, even a quarter, even less, my children will be the luckiest in the world. Even more so to have you as their grandmother. All the thank yous in the world aren&apos;t really enough but I&apos;ll say it again, thank you Mum. 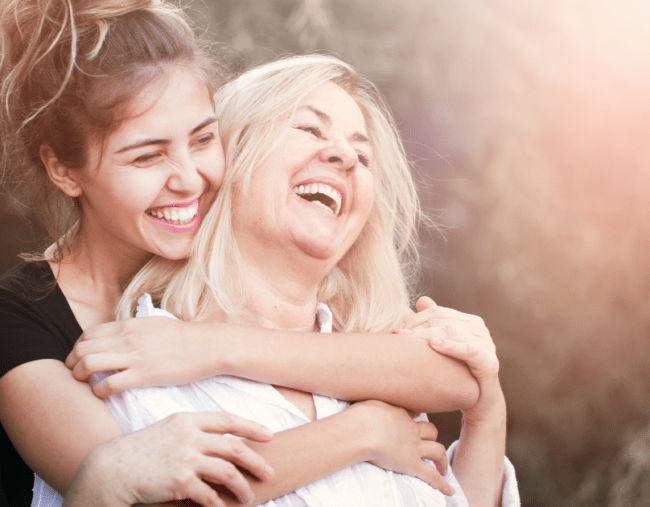 What learnings have you made from your mum? Share them in the comments section below. This content was created with thanks to our brand partner Price Attack.